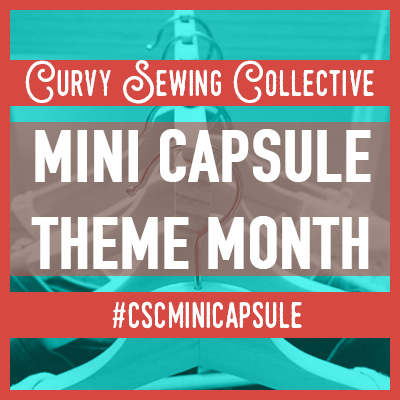 June is Swimwear Month at the Curvy Sewing Collective! 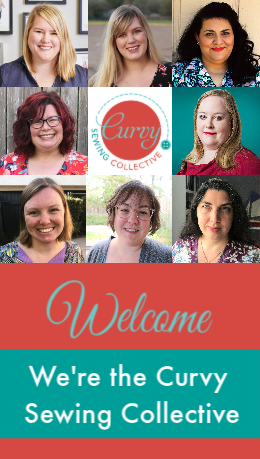 You are here: Home / Curvy Sewing 101 / Curvy Swimwear / June is Swimwear Month at the Curvy Sewing Collective! 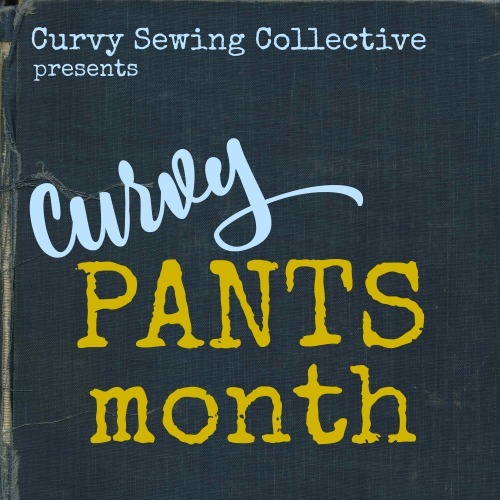 After the great response we had to February’s Lingerie Month, the Curvy Sewing Collective is hosting another theme month this June, just in time for summer sun and fun: Swimwear Month! We wanted to give you a heads up in advance, in case you want to gather supplies and patterns so that you can sew yourself some swimwear or a beach cover-up along with us in June. Like lingerie, sewing swimwear can seem a bit intimidating, but it’s totally do-able! We’ll be here to offer inspiration, support, and motivation. We hope that the Curvy Sewing Collective Swimwear Month will help you get ready to look and feel beautiful and confident on the beach or at the pool this summer! We are really excited about what we’ve got planned so far. What do you hope to learn or see during swimwear month? Let us know! Have you made a killer swimsuit or cover-up already? Got any ideas or tips you want to share for Swimwear Month? Please tell us if you’d like to contribute a post! We hope you’ll join us for Swimwear Month… feel free to grab the CSC Swimwear Month badge below to get the word out on your blog. Join in the Swimwear Month fun by tagging your photos with #CurvySewingCollective, #CSCSwimwearMonth and #sewcurvyswimwear! « Curvy Sewing Collective Sizing Survey – Take Part! Yay! I’ve had some great swimsuit fabric in my stash for ages, but have been held up trying to find a bikini top pattern that I like in my cup size. Excellent! Hopefully we can help you find a pattern that fits your needs!! I might be interested in contributing a little bit-this is my second year sewing spandex (swimwear and soft bras) and I’ve got a few tricks. However, most of my tips are fairly mainstream in the online world. I’m also helping my friend to sew a swimsuit, so maybe a general construction order post I could do. Or I could just comment a lot! Send us an email with your post idea! We’d love to hear your tricks! Would it be possible to focus on how to insert bra cups in a one piece swimsuit? It still remains a mystery to me and I would never consider wearing a swimsuit without them! Many thanks for your really enjoyable and useful articles Meg. I think we may have that covered, but if we don’t, we’ll try to make sure we do! Oh, I’m excited. I was already planning on making the P4P Siren Swim top and Hello Sailor Swim bottoms very soon, so this works out perfect! Awesome! Glad you’ll be joining the fun! Congrats on your successful foray into swimwear! Hopefully we can inspire you to make another during Swimwear Month! I want to make rash guard but finding a variety of fabric with at least 10 Lycra is proving difficult. Hmm- well, hopefully we can find some fabric sources to meet your rash guard needs! I can’t wait. I am fabric shopping for a swimsuit as we speak. I intend to get my high-waist bikini yet — ideally navy polka dots. Oooh- lots of options for sewing yourself a high waist bikini! Sigh, navy polka dots would be amazing… fingers crossed you find your perfect fabric! I just made a self-drafted swimsuit with a built-in underwired bra last week. It was a lot of fun to make, & I’d make another right now if I wasn’t already swamped with other sewing obligations! Ciara, that swimsuit is fabulous! You are way ahead of the game- I hope you’ll share some of your swimsuit sewing tips and tricks with the CSC! Can’t wait!!! I been trying to figure out how to make a tank style top and shorts for the last week. I want something I can swim, and use for kayaking. It must hold everything in, give support, and be comfortable enough for a lot of movement. Glad you’re excited about Swimwear Month, Amy! I am pumped, too! Some swim shorts would be awesome… hopefully we can help you find your perfect pattern!